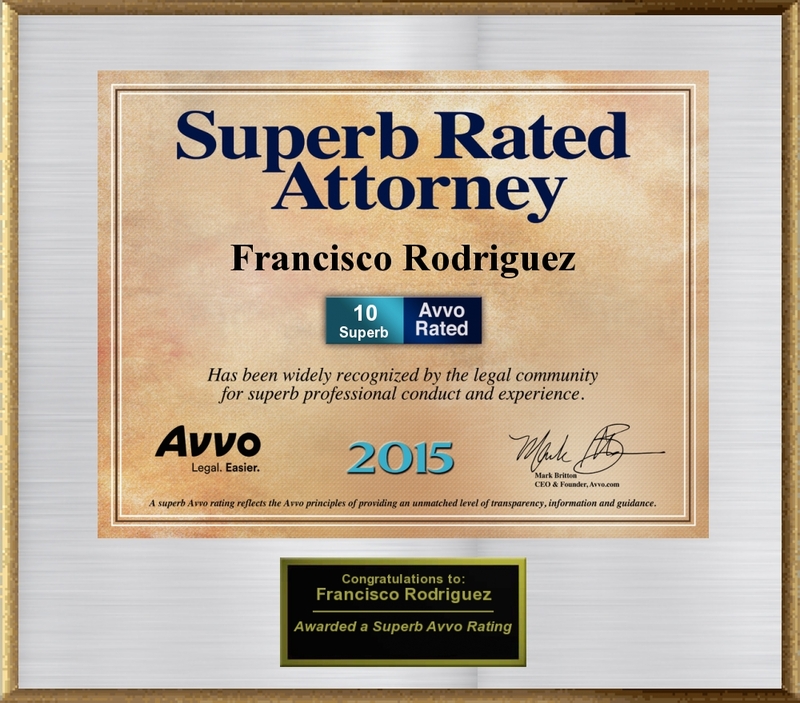 Francisco Rodriguez - Trial Attorney! Legal matters must be given a high level of attention. While other firms top goal is Personal attention and dedication to the client's case, for us this is simply the starting point. We put 20 years of jury trial experience to work for you, ask any other firm, how many trials their top trial Attorney has completed? Then, ask us! Ask what is the level of Appellate and Writ work experience with that firm? Then, ask us. Once you get these answers (and we encourage you to get them), then you will see why there is only one choice for you! If you have a legal matter in Marin County or anywhere else in Northern California, we can help. CONSISTENTLY A TOP RATED LAWYER! YEAR AFTER YEAR, WHEN YOU WORK HARD FOR YOUR CLIENTS IT CANNOT BE IGNORED.